air joe is proud to serve the Lemont community! We are proud to be a part of this community, serving your heating and air conditioning needs: air joe is listed in many directories under titles such as : Lemont Heating Contractors, Lemont Heating, Lemont Air Conditioning, Heating Repair, Air Conditioning Repair, Lemont Heating and Cooling Contractors, Rooftop HVAC Repair, Ductless AC Systems, Boiler Repair and Lemont Heating and Air Conditioning Contractors. We are here for you whether you need furnace or air conditioner repairs, heating and cooling estimates, equipment replacement or new installation of a furnace, air conditioner, heat pump, rooftop heating and cooling or comfort products to improve the air filtration for your home or business. About Lemont, IL - Happy to be your hometown Heating & Air Conditioning Contractor! Lemont is a city located about 27 miles outside of Chicago, and it is located in portions of DuPage, Will, and Cook Counties. As of 2010, the population was roughly 16,000, and it is made up of 8.35 square miles of total area. It was settled in 1836 and was incorporated in June 1873. This city is also known for being hit by several tornadoes since the mid-70s. Lemont and the Chicago area is known for having hot and humid summers and cold, snowy winters, and the region is part of a humid continental climate zone. 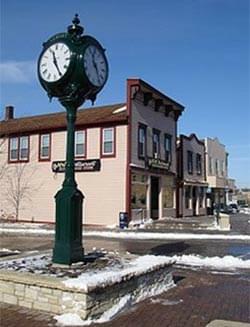 Lemont is home to several different attractions that may appeal to visitors and residents of this village. There are a variety of banquet facilities to host events in the community, including Crystal Grand Banquets and the Narnia Estate. Golf enthusiasts may want to play a round at the Gleneagles Country Club, and teens and young adults might enjoy hanging out at Gamestorm, Inc.